Mezzema is located at 570 meters above sea level, about one kilometer from Pieve di Tremosine sul Garda. The name of the village is of pre-Latin origin, and it derives from the word “halfway”, in respect to the position halfway between the hills and the coast. Roman construction materials were found near Mezzema. 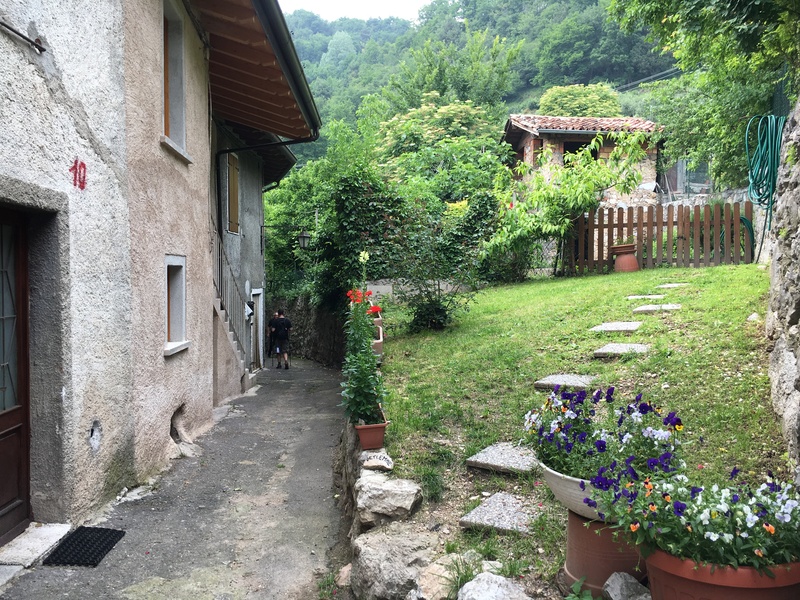 The ancient core of the village only has a few houses nowadays, but the residential area is expanding in recent years because of tourism - small holiday homes and hotels invite visitors to stop, and enjoy the peace and relaxation of Mezzema. Romanesque epitaphs are still visible on the façades of the oldest houses, and part of the Roman epigraph was found on the wall of a house. Not far away, at the crossroads of via della Pace with via Fontanei, there is a small votive shrine dedicated to the Madonna of Lourdes, but its historical origins are not known.